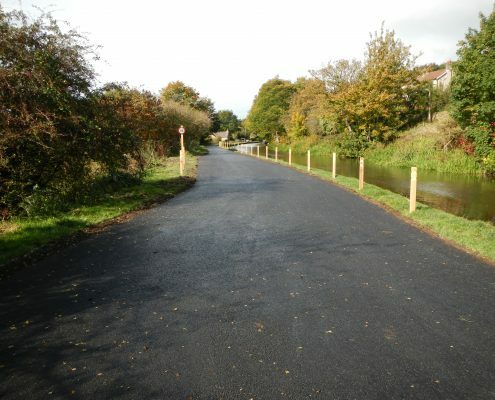 Conservefor is a leading civil & landscape engineering contractor with over 20 years of experience working on protected landscapes. We specialise working on difficult to access and environmentally sensitive sites. 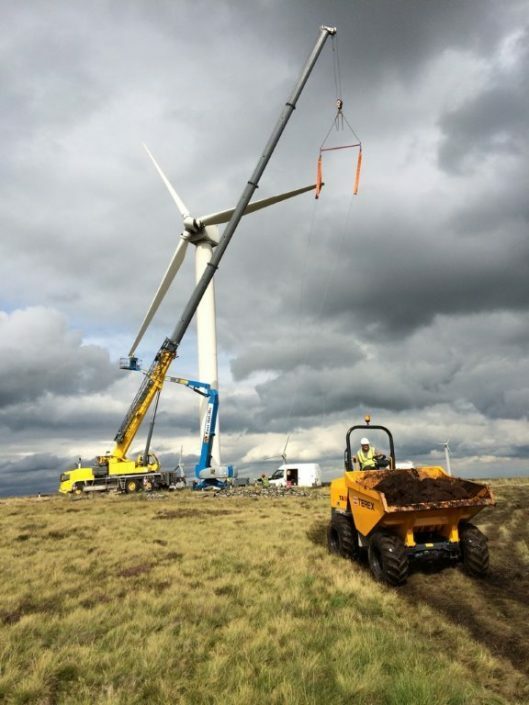 We have a highly trained experienced team with specialist equipment to undertake all aspects of engineering projects. We believe communication is paramount to a successful project and engage with the client at every level to ensure the work is completed professionally, on time and within budget. 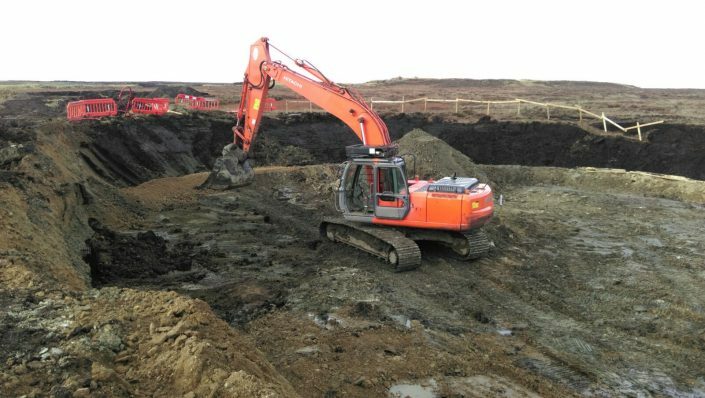 Experienced and skilled ground works contractor involved in all aspects of construction including access tracks and crane pad, excavation of turbine base and cable trench, stoning and levelling base, sanding cable trench, backfilling trench, landscaping and turbine foundation. 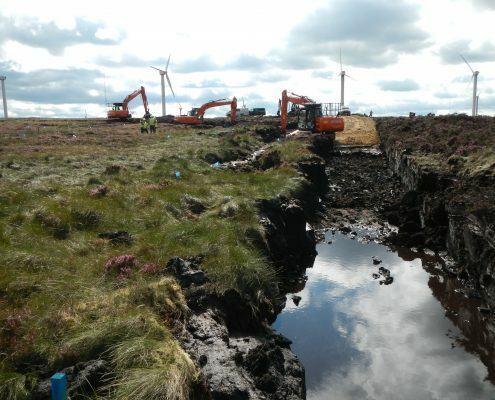 Knowledge and experienced peatland civil contractor having successfully managed and undertaken the excavation and translocation of thousands of tonnes of peat from receptor sites to donor site. 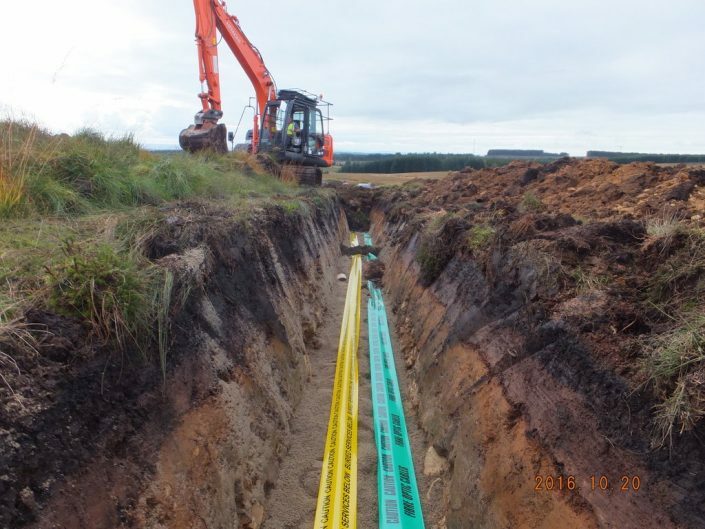 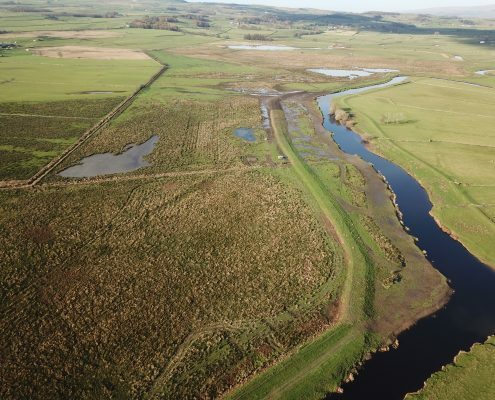 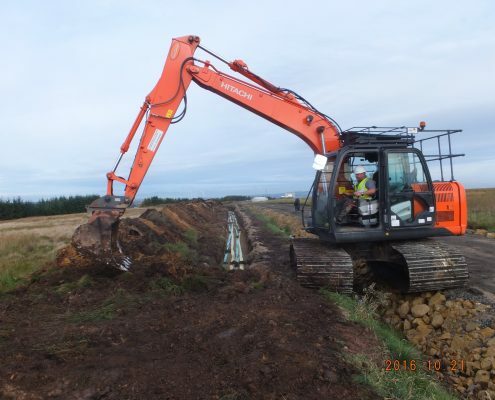 Specialist sensitive land drainage and construction contractor offering unique drainage solutions on peatlands, wetlands and environmentally designated sites. Trenching and cable laying contractor with bespoke equipment working on ecologically and environmentally sensitive sites for the construction industry.